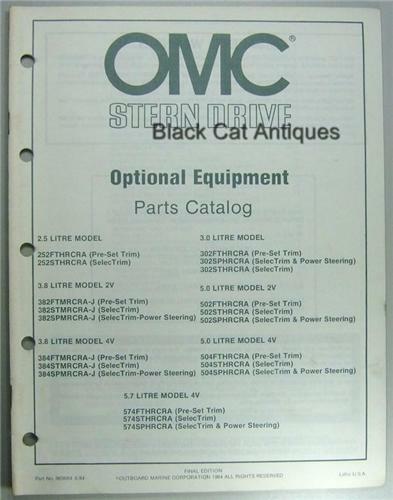 Up for sale, we are offering an original, 1984 OMC, Stern Drive, Optional Equipment Parts Catalog (final edition). **Please enlarge photo #2 to verify models covered by this parts list. This is a new/old stock booklet from a local marine and small motor business filled with great information and diagrams relevant to these classic outboard motors and accessories. Condition: This booklet is new/old stock with light soiling on the cover from storage. Please enlarge the photos to determine the condition of the guide.